OTTAWA -- Rural and suburban postal workers across Canada celebrated Thursday after an arbitrator ordered Canada Post to pay them more -- much more -- as part of a long-awaited pay equity decision. "We're very happy with (the ruling)," said Kennedy, who was one of three members of the union's pay equity committee. The union argued Canada Post's 8,000 rural carriers -- most of whom are women -- were being paid substantially less than their majority-male urban co-workers. About 60 per cent of RSMCs are women. The chair of Canada Post's board of directors and interim president and CEO, Jessica McDonald, pledged to move quickly to implement the pay changes and called Flynn's ruling "thoughtful and detailed." "This is an incredibly important ruling for our rural and suburban carriers," McDonald said in a statement. "Pay equity is a basic human right and therefore pay disparity on the basis of gender is wholly unacceptable for Canada Post." In a preliminary 176-page decision issued in May, Flynn largely sided with the union over how Canada Post should calculate compensation rates for its rural workers, calling the corporation's methodology "not reasonably accurate." 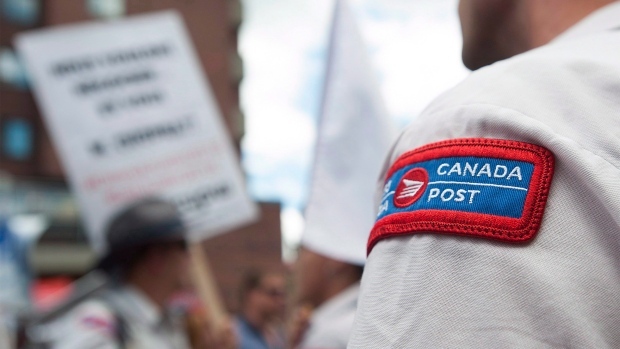 Thursday's ruling came as CUPW and the post office continued to negotiate new contracts under a Sept. 25 deadline for a strike or lockout, with the aid of a third party. The lowest-paid RSMCs earn a "derived hourly rate" of $19.73 per hour. Under Flynn's ruling, that rate is increased to $25.95, retroactive to Jan. 1, 2016, said Kennedy. But that doesn't include general wage increases awarded since 2016, she said. CUPW said it was disappointed in a portion of Flynn's ruling that awarded the back-dating of post-retirement benefit increases to 2016. The union had asked that the benefits be calculated as far back as 2004.